Little Cayman is one of three islands comprising the Cayman Islands. 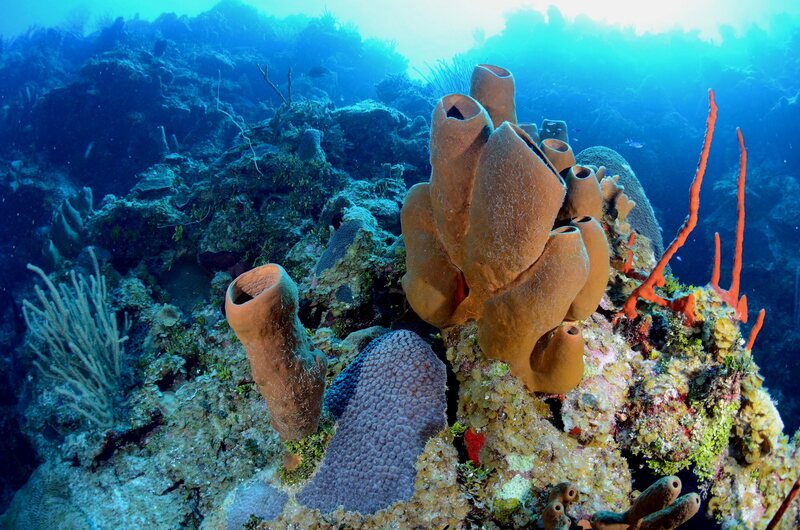 It is located in the Caribbean Sea, approximately 60 miles northeast of Grand Cayman and five miles (8 km) west of Cayman Brac. Little Cayman is by far the least populous, with a permanent population of about 170. It is about 10 miles (16 km) long with an average width of 1 mile (2 km) and most of the island is undeveloped. Almost the entire island is at sea level. The highest elevation is about 40 feet (12 metres). Little Cayman is known for its excellent scuba diving and bird watching, unspoiled wildlife habitat and laid-back atmosphere. Despite its small size, the island hosts a heritage festival and parade as part of Pirates Week, the annual Mardi Gras celebration of the Cayman Islands and the Sister Islands Cook-off. 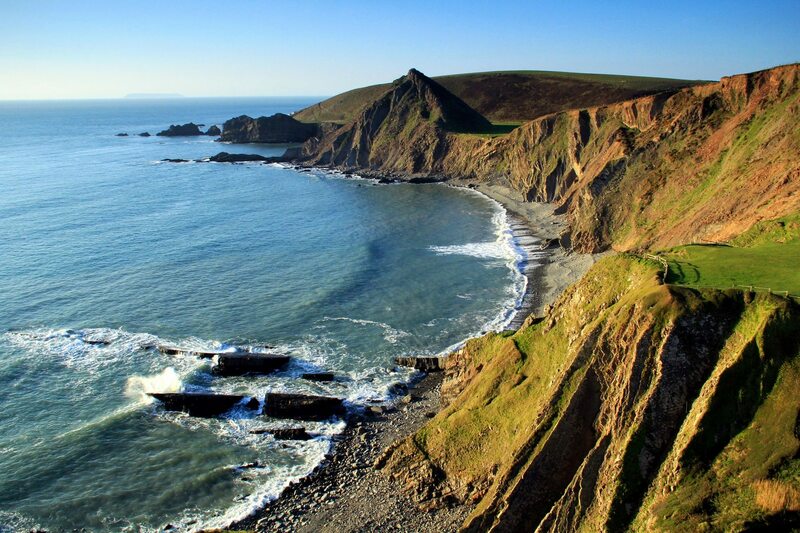 North Devon is the northern part of the English county of Devon. It is also the name of a local government district in Devon. Its council is based in Barnstaple. Other towns and villages in the North Devon District include Braunton, Fremington, Ilfracombe, Instow, South Molton, Lynton and Lynmouth. The district was formed on 1 April 1974 as a merger of the Barnstaple municipal borough, the Ilfracombe and Lynton urban districts, and the Barnstaple and South Molton rural districts. The Seven Sisters are a series of chalk cliffs by the English Channel. They form part of the South Downs in East Sussex, between the towns of Seaford and Eastbourne in southern England. 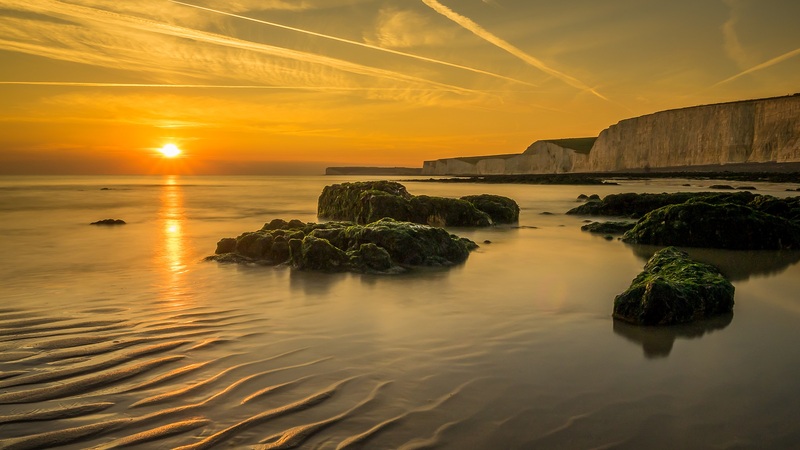 They are within the Seven Sisters Country Park which is bounded by the coast, the Cuckmere and the A259 road. They are the remnants of dry valleys in the chalk South Downs, which are gradually being eroded by the sea. Ullswater is the second largest lake in the English Lake District, being approximately nine miles (14.5 kilometres) long and 0.75 miles (1,200 m) wide with a maximum depth of slightly more than 60 metres (197 ft). 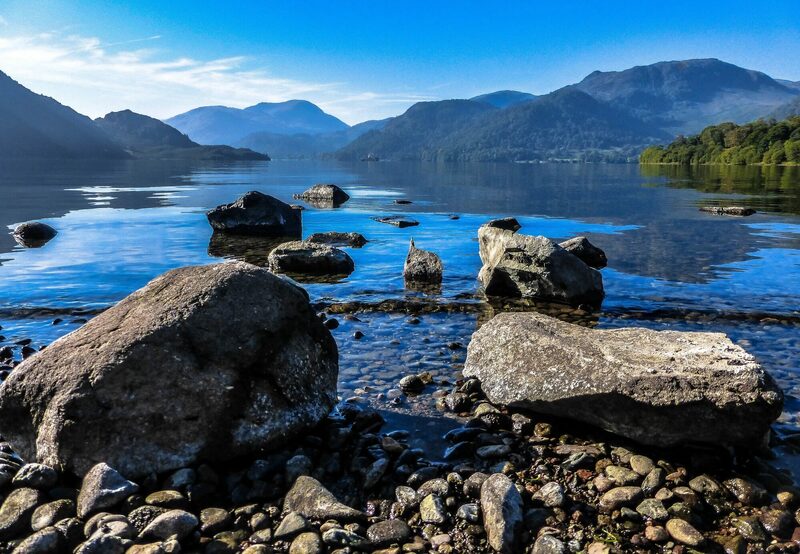 Many regard Ullswater as the most beautiful of the English lakes; it has been compared to Lake Lucerne in Switzerland and it is a popular tourist destination. It is a typical Lake District narrow "ribbon lake" formed after the last ice age when a glacier scooped out the valley floor and when the glacier retreated, the deepened section filled with meltwater which became a lake. A total of three separate glaciers formed the lake. The surrounding mountains give Ullswater the shape of a stretched 'Z' with three distinct segments (or 'reaches') that wend their way through the surrounding hills. For much of its length Ullswater forms the border between the ancient counties of Cumberland and Westmorland. The origin of the name 'Ullswater' is uncertain. Whaley suggests " 'Ulf's lake', from Old Norse personal name 'Ulfr' plus Middle English 'water' influenced in usage by Old Norse 'vatn' 'water', 'lake' ....'Ulfr' is also the Old Norse noun meaning 'wolf', and Hutchinson thought that the name might refer to the lake as a resort of wolves, or...to its elbow-shaped bend (citing a Celtic 'ulle'...)."